It is widely known that a myth exists that harassment suits only occur in huge, high profile media companies. If you pay attention to the headlines it is easy to see where this myth comes from - Fox, Weinstein Co., Nickelodeon, NBC, etc. However, the reality, according to the EEOC, is that the hospitality industry generates the most harassment claims and small businesses are named in a disproportionate amount of those claims. Many employers inaccurately believe they are covered for employment related claims by their general liability policy. 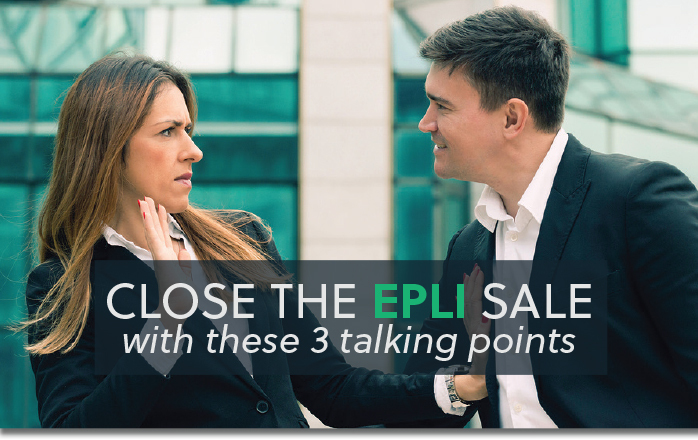 Explain to your client what those exposures are not covered by their GL policy and how they will be covered by an EPLI policy. Even if you're innocent, you could spend $100,000 in court, when the average policy is only around $1,000. The “it won’t happen to me” attitude needs to be addressed with the fact that you can be sued and held liable even if you did nothing wrong. Email completed application to mwilson@midman.com for a quote today.